Industries as diverse as steel, bio diesel, manufacturing, food processing, trucking service industries, wastewater treatment and utility – all face a simple, common problem: oily water. 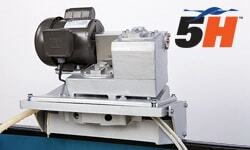 Where water is used extensively at some point along the production process, either in cooling machinery, washing down equipment, or playing a crucial part in the manufacturing process, problems occur when water picks up oil. And, regardless of whether the facility reuses the water or sends it to a city treatment plant, the oil has to be removed. Many facilities, however, are not equipped to effectively remove oil. 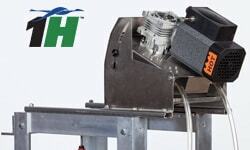 Oil skimmers are an excellent means to primary treatment of waste water prior to discharge into public sewers or waterways or in-house treatment. 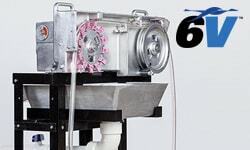 Treating waste water can be expensive, oil skimmers, however, quickly, easily and efficiently skim out oils, sludge and other greasy residues, thus reducing the cost of expensive chemicals used to treat the water. Removing oil from waste water also means preserving the life of delicate probes and pH sensors. 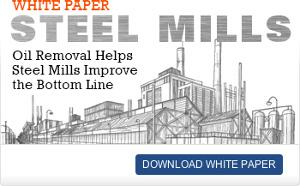 Skimming keeps sensitive equipment from getting coated with oil, reducing treatment plant maintenance costs. Oil skimmers additionally increase the life of water treatment filters by eliminating oil that blinds the filter, causing premature changing. They prolong the life of your filters, further reducing operating costs by lengthening the time between changing. Also the disposal costs associated with the filters is reduced. 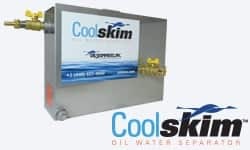 Oil skimmers additionally increase filter life by eliminating oil that blinds the filter and causes premature changing. They prolong the life of your filters, further reducing operating costs by lengthening the time between changing. 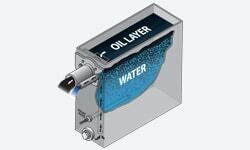 Oil skimming makes the manufacturing process cleaner, more economical, efficient, and cost-effective. During the manufacturing process, there are several points where oil contamination may become a problem. 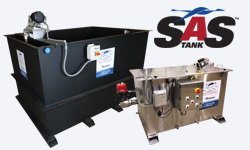 When washing or machining parts, tramp oil will get into the wash water or coolant solution. Since this solution is continuously reused, there is an increased possibility of oil being deposited onto the parts. This film in turn hinders the finishing process and mars the product surface. Oil skimming removes tramp oil, and results in a cleaner product better prepared for painting, plating or other finishing. Oil skimmers are ideal sentries to guard against the release of oil because they can operate 24 hours a day, picking up oil and not water. Plus, they may be made mobile, quickly moving to any location for a fast oil recovery response. 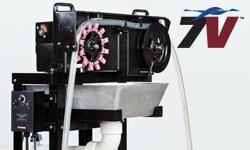 Floating tube oil skimmers are an excellent means to clean water prior to discharge into public sewers or waterways to help meet federal and local environmental standards and reduce or eliminate sewers surcharges. Oil skimming is an effective and environmentally friendly option, and is cost-effective and efficient at removing oily waste from water. Skimming, along with water conservation, leads to generating less pollution and leads to more effective treatment of wastewater. Often the oily waste our oil skimmers remove has a significant dollar value. 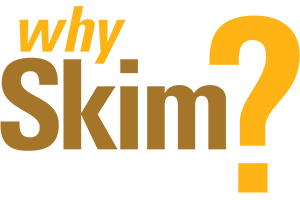 Recovered oils are often reused in the manufacturing process. For example, in oil refineries it is not uncommon for the waste oil to be skimmed, held in collection tanks and returned for reuse during the process cycle, resulting in significant cost savings. In addition, the skimmed oil in certain food processing facilities can also be sold to rendering plants or bio-diesel manufacturers, resulting in companies generating a profit from waste oil. Recovered oil from skimming can also be collected and resold for use in other manufacturing processes, including asphalt production or fuel oil. 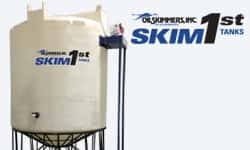 No matter what your application needs, Oil Skimmers, Inc. has a system that will manage all your waste oil recovery efforts.